Add the sliced apples and cinnamon candy into the bottom of the the crock pot. Give it a stir. I used a 4 quart crock pot. In a large bowl, add flour, brown sugar, cinnamon, and rolled oats. Stir together until everything is thoroughly incorporated. Add in the butter and mix using a hand mixer on low. You can also use your hands, that's what I do. They're easier to clean. Spread the crisp streusel topping evenly on the apples. Place a paper towel over the top of the crock pot. Make sure that paper towel is big enough that it doesn't fall in. Set the lid on top of the paper towel. Place the crock pot on low and let it cook for 2 hours 30 minutes - 2 hours 45 minutes until the apples are tender. 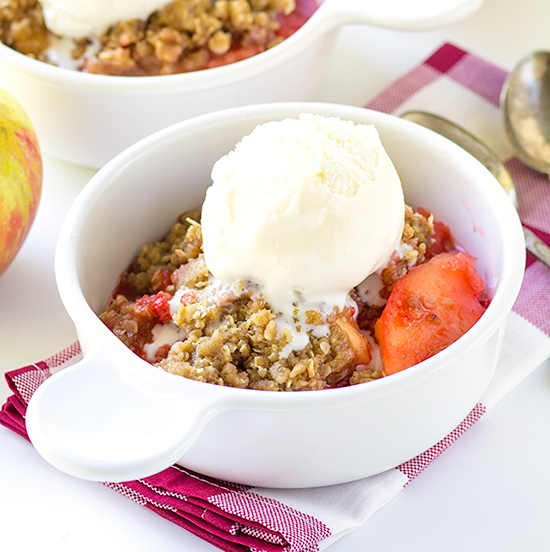 Red Hot Crock Pot Apple Crisp - You know what goes awesome with apples? Red hot candies. 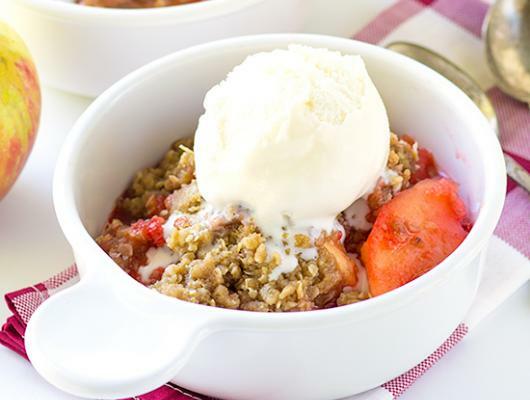 Toss them into a crock pot with some streusel topping and you'll have dessert in no time.